Jin kang lives with her older brother, Detective Yoo Jin kook, who has taken care of his sister ever since their parents died in an accident when she was a child. Kim Moo young is a mysterious, enigmatic and charming man who enters her life one day. He starts a relationship with her best friend, the wealthy Baek Seung ah, who is engaged to the arrogant chaebol, Jang Woo sang. When a college student falls to her death, Min young becomes a suspect. Old secrets surface, and come back to haunt the present, as Jin kang tries to fight her growing attraction for Min young. This story, told through Jin kang's perspective, draws the reader into a chilling and compelling web of mystery, romance, and intrigue. This story is essentially Jin kang's story, seen through her eyes, and told from her perspective. 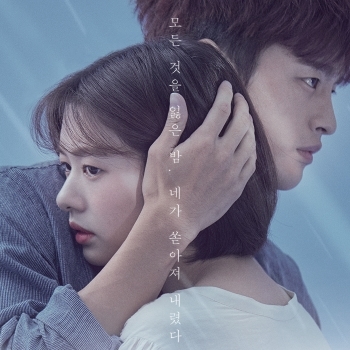 This fanfic will follow the drama as it unfolds over the ensuing weeks, and delve into the inner thoughts and conflicted feelings of Jin kang. I have not seen the original, so there will be no spoilers at all. I have attempted to inject some humour into this dark and grim story, and see how it plays out against the backdrop of murder and dark secrets.